These bloggers aren’t anointed or got any special ordination in Nigeria’s blogosphere. But, they are doing something that’s impacting and promoting more value to their audience. In case you don’t know, audience (people) like you are the reason why these top bloggers are listed here. But you may be asking, “Does blogging in Nigeria really pay”? Blogging has become very popular these days amongst many Nigerians. It’s one of the best way to make money online in Nigeria while doing what you love at your own convenient time. In fact, thousands of people are creating their own respective blog daily. 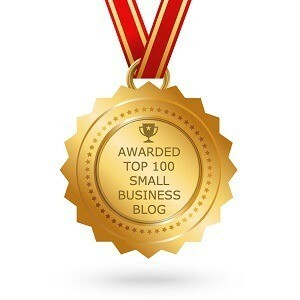 Blogging business in Nigeria is competitive and that’s how it’s in other countries. But stills billions of dollars are being cash out from this blogging business by millions of bloggers every month. But in the midst of all these Nigeria’s bloggers, some have taken blogging business to the next level. We’ll be sharing the list of top 30 bloggers in Nigeria. But mind you, this list is motivated by income and income. We didn’t profiled this from Alexa ranking or any SEO tool, if not Paul Samson of NNU.ng should be here. Since the inception of her blogging career in 2006, Linda Ikeji has continued to prove how good she is with her blog. With unfiltered news, entertainment gists and many more, LindaIkejisBlog (LIB) is not only popular in Nigeria, but its presence is felt across Africa also. Linda Ikeji is the richest blogger in Nigeria and Africa… She’s a woman who is passionate about blogging business. This makes Linda Ikeji the first on our list. Another top player in Nigeria’s blogging sphere. Uche Eze started her blog back in 2006, and since then she’s be churning out top quality contents to satisfy our constant need for information and new ideas. According to some trending true life motivational stories, Uche Pedro inspired Linda Ikeji to join this blogging business. When it comes to lifestyle blogging, Uche’s blog stands tall amongst others. Noble Igwe blog speaks volumes about his personality. One of the best when it comes to entertainment in Nigeria and the world. Noble’s 360nobs.com is one of the most visited entertainment sites for latest music, videos and other showBIZ goods. In case you don’t know the meaning of the “Nobs”, it means “No Bull Sh*ts”. Jide Ogunsanya is the founder of ogbonge blog. Once a biologist, Jide is constantly improving the life of his readers with very educative contents. 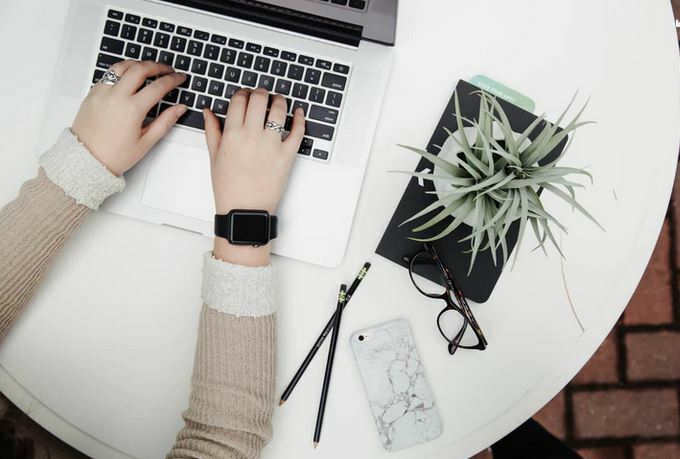 If you’re interested in gaining new knowledge in several areas of technology, especially how to make money online, visiting his blog wouldn’t be a bad idea. You may have heard the tag “more music at notjustok.com“, this goes to show how popular the blog is. The mastermind of this blog is Demola Ogundele. When it comes music blogging, latest music and videos, Ovie is NOT JUST OKAY with OKAY, he always wants the best which is why his site is one of the most popular when it comes to music in Nigeria. A platform for the culture of Nigerian youths. 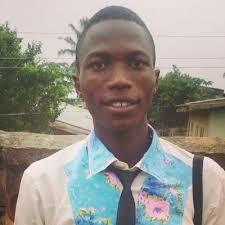 Chude Jideonwo co-founded this blog with the Nigerian youth in mind. Also a lawyer by profession, Chude is one of the best blogger in Nigeria in entertainment and latest information blogging. Japheth is one of the best Nigerian blogger and social media activist. What he started 10 years ago has turned out to be one of the choice platform for those interested in political news with a difference. If you are interested in tech or a tech enthusiast, you may have probably come across this blog in your online journey. His blog is devoted to technology and consumer electronics. Those looking to satisfy their thirst for tech should check out techloy.com to see the wonderful job done by Loy Okezie. Naijaloaded was founded by one of the best Nigerian bloggers, Makinde Azeez who has made the once popular forum to one of the most notable blogs with millions of visitors. The name of this blog speaks for itself. This makes Makinde one of Nigeria’s top bloggers. Foremost Nigeria tech blog! Tobi has taken tech blog to another level with her rich and juicy contents in a unique way. Since 2015, Tobi has continued to thrill her visitors, her video and written review about tech stands out among her contemporaries. This is probably the best tech blog I’ve come across! With well researched information and tips, Yomi put on the path of self reliance with mouth-watering tips. In the context of top tech bloggers in Nigeria, Yomi is one of the best and he’s good at what he does. The name “writers in charge” is for writers who are aspire to take charge in the blogging Industry. Formerly youngprepro.com, his site is one of the most visited because of his quality contents which has been featured in top sites and magazines worldwide. This is one bloggers who loves what she does. She continues to serve eye catching and enlightening contents that keeps readers coming back for more. With great writing style, Kemi feeds Nigerians with her daily dose entertainment news, fashion trends and news in a personalized manner. One of the best bloggers in Nigeria which you should check out. Laila is another top blogger with interesting posts about celebrity gists, gossips, fashion tip and news and a wide variety of subjects. Her blog has a wide reach and has continued to grow on a daily basis. Sisi Yemmie’s blog is one of the best blogs for those with interest for fashion and a whole lot of other things. Her charismatic approach to blogging makes her stand out as one of Nigeria’s top bloggers. Chukwuemeka Fred Agbata, also known as CFA is leading the revolution to a digitalized Nigeria. He gives you insights on how to make technology work for you. This is one of the best blogs about tech. An interesting personality with an aggressive style of blogging, Stella Dimoko korkus gives you the best when it comes to news stories making the rounds, whether it’s political, celebrities, sports, finance etc. Beauty and fashion! This is what her blog is heralded for. If care much about aesthetics, Ono Bello got you covered with her insightful posts about fashion and beauty. Another top blogger when we talk about latest sports stories, entertainment news and many more. You can check out Ajetunmobi’s blog to get a feel of quality. The name alone explains it all, Myne Whitman serves you the best romantic stories and tips for navigating through your romantic side of life. Chidinma’s blog, thatigbochick.com is one of Nigeria’s best blogs about make-ups, fashion trends and many more. If you’ve got affinity for make-ups, you should check out her blog. One of the best in the business of fashion. Terence gives you the latest on fashion in a very creative manner. Fashion lovers should check out this blog. Parents, parenting and whatever you need to become a better parent. She gives you the best strategies as to getting the best out of your kids. Aspiring writers, or should I say writers will definitely love the contents by Osemhen Akhibi as she gives you wonderful tips about becoming a better writer. One of the best creative bloggers Nigeria has, Chioma Iwunze gives you the best tips on becoming a creative writer, writing inspirational topics and more. Olu, once a journalist, brings his wealth of experience in journalism into blogging fusing both to give you the best of news and juicy stories. Coming together with his team of expert bloggers, Mola Ogundele continue to serve latest Nigerian music. You also have the opportunity to listen to songs online. These are the top 30 bloggers in Nigeria as of today (date of publication). You may have previously heard some of these popular blogs but today, you’ve also know their founders. In case you’re thinking of starting your own blog or other digital skills that can fetch you legal money online, we’re ready to mentor you and cash out 6 figures per month. Blogging is not only the way, there are hundreds of ways to earn living online. Don’t think these Nigeria’s top bloggers listed here relied on blogging, they all have other side hustle. Don’t worry, contact us and let work together on your dream. Don’t forget that this top bloggers in Nigeria listed here are not affiliated with/to us. Thanks for your understanding and don’t forget to share with your friends..